It's a tough market for homebuyers. Prices are high and supply of available homes is low. And while the Federal Reserve's rate hike could make home buying more expensive, house hunters shouldn't start panicking yet. The Fed doesn't directly set mortgage rates, but its actions can affect the housing market. Mortgage rates tend to move with the government's 10-year Treasury note, which serves as a benchmark for many forms of credit, including mortgages. Interest rates on the notes have already risen since Donald Trump was elected president and on signals the Fed would continue to tighten monetary policy. But Wednesday's hike was widely expected, meaning the markets had already priced it in. So many experts don't see rates moving much higher in the coming weeks. 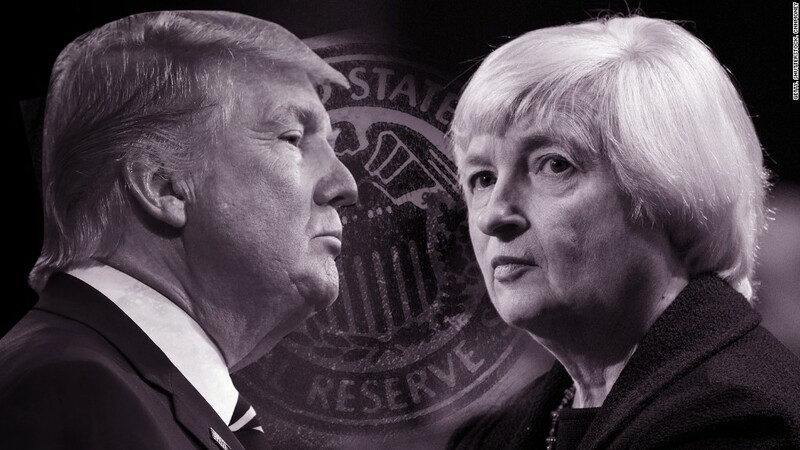 "The last couple of times the Fed made a move, the rates firmed up in advance of the decision, and when it happened they kind of faded," said Keith Gumbinger , vice president of HSH.com. The Fed has now raised rates three times since the end of 2015. Following the first hike in December 2015, mortgage rates started 2016 with a drop for the first few weeks. Plus, rates are still relatively low, and many experts don't expect them to rise above 5% this year. Last week, the average rate of a 30-year fixed mortgage climbed to 4.21% -- a 2017 high. A year ago, it was 3.68%. At the current interest rate, buyers will pay $57 more per month compared to a year ago, assuming a $235,000 price tag and a 20% down payment. That might not be a deal breaker for many buyers, but it could hurt those shopping in more expensive neighborhoods, or those right on the margin of being able to afford a home. "That is going to create a bit of sticker shock for some buyers looking to buy this spring," said Len Kiefer, deputy chief economist at Freddie Mac. He expects rates to stay around 4.25% to 4.30% this buying season. Right now, the Central Bank is expected to raise rates three times this year, but if its actions become more aggressive, it could bring a sharper upswing in mortgage rates. And it's not just the Fed that can influence mortgage rates. "The global economic picture is a little warmer and things are pretty good. Markets aren't just reacting to what the Fed is doing, but the prospects of the rest of the world as well," said Gumbinger.